NOW WITH UNLIMITED KMS 5 YEAR FACTORY WARRANTY!!!!.. TECHNOLOGY PACK. 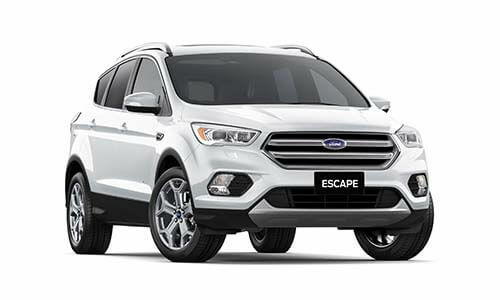 NEW FORD ESCAPE TITANIUM 2.0L DIESEL AUTOMATIC AWD(Frozen White). - RACQ Membership and roadside assistance INCLUDED.. - FORD SERVICE PRICE PROMISE for 7 years.. - 5 Star ANCAP Safety Rating.. I'm interested in a New 2018 MY18.75 Ford Escape ZG Titanium AWD Suv (stock #QFTM).